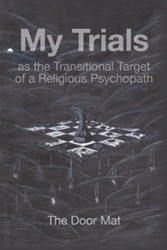 Mark Wilson draws upon his experiences with a “religious psychopath” to help others spot psychopaths before they do damage in his new memoir, “My Trials: as the Transitional Target of a Religious Psychopath” (published by Archway Publishing). In the book, Wilson describes interactions he had with a “high-functioning, proactively religious psychopath” while in a foreign country for a career-building experience. In sharing his encounter and his deductions with a primary psychopath, he seeks to spread awareness to help members of global society identify psychopaths before they cause damage. Wilson also writes that the understanding of psychopathy is still quite young and many still view psychopathy wrongly, confusing it too much with sociopathy. Mark Wilson is a young man with many interests that keeps him active and enjoying life. Wilson lives in Michigan. “My Trials” is his debut book.